Straight smiles and so much more. Here is everything you need to know to make the right choice. The meaning of orthodontics gives a big clue as to what this specialist field of dentistry is all about. In short, it is the treatment of irregularities in the teeth and jaws. If these are left unchecked, they can cause issues affecting your oral health and entire well-being. Thanks to orthodontics you can straighten your teeth and achieve a beautiful smile. What’s more, you’ll enjoy the proper functionality of both your teeth and bite. Boost your smile and your self-esteem. Disharmony between your teeth and jaw not only has a detrimental affect on your health but can impact your day-to-day life too. Our orthodontic specialists in Savannah, Wilmington Island, Pooler, Swainsboro, and Bluffton are committed to helping you love your smile. Sometimes even subtle changes can have a huge impact, while other times we need to use a few different treatments to give you the desired result. Whatever you need, rest assured we have the skill and desire to make it happen. Orthodontics is important for both adults and children. Through early treatment, we can facilitate the growth of your child’s adult teeth and help them to adopt good oral hygiene. For adults, we can correct problems before they have an impact on overall health. 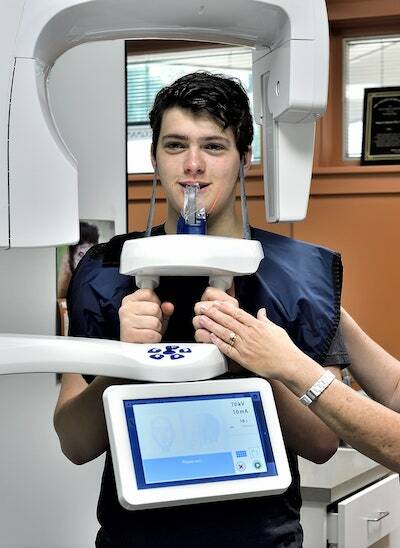 We use a number of innovative, discreet treatments to correct misaligned teeth and jaw issues. It is our goal for everyone in our community to love their smile and show it off as much as possible. With orthodontics that is the ultimate objective and something we promise to work toward with you during your visit. It is natural to have questions and your orthodontists in GA are more than happy to answer them. Do I need a referral from my dentist to set up an appointment? No, it is not necessary to get referred by your dentist. However, many patients are referred by their family dentist when problems arise. Due to our stellar reputation, we have a number of dentists who trust the care we provide and use us as their preferred orthodontist. With the advancements in modern technology, it is very rare for treatments such as braces or Invisalign® to hurt. Occasionally, you may experience a little soreness after adjustments or with new trays, but any discomfort can be managed with over the counter pain medication. If you are experiencing severe discomfort, please contact us. Your individual treatment time will vary depending on the service you choose. It could be as little as 6 months or could take up to 30 months. Whatever the timeframe, we promise to be with you every step of the way. How often should I visit an orthodontist? Normally patients only visit an orthodontist if they are experiencing negative symptoms, are unhappy with their smile, or are referred by a dentist. In the case of those with braces, we expect to schedule regular visits for adjustments. For other treatments, it is determined on a case-by-case basis depending on your circumstances and the service you have chosen. The American Association of Orthodontists recommends all children get a check-up with an orthodontic specialist by the age of 7. Why? Because by this age several of the permanent teeth have erupted, meaning our specialists can detect any problems affecting jaw position or teeth alignment. No one is too old to smile, so in turn, no one is too old for braces. In fact, 25% of orthodontic patients are adults! Everyone deserves to feel happy and healthy – so don’t regret it and delay. Get the smile of your dreams. Can I brush and floss with braces? Brushing your teeth is vitally important, especially when you have braces. We recommend brushing in the morning, after meals, and before going to bed. Our wonderful team will show you the best brushing and flossing techniques to keep your teeth healthy while wearing braces. How do I clean a removable retainer? Brush your retainer every day as part of your teeth cleaning schedule. You can also soak it in special cleaning products (recommended by your orthodontist) to keep it clean and make it taste better. Knowledge is the first step; the next is coming to see us.